Product prices and availability are accurate as of 2019-04-22 16:09:21 UTC and are subject to change. Any price and availability information displayed on http://www.amazon.com/ at the time of purchase will apply to the purchase of this product. 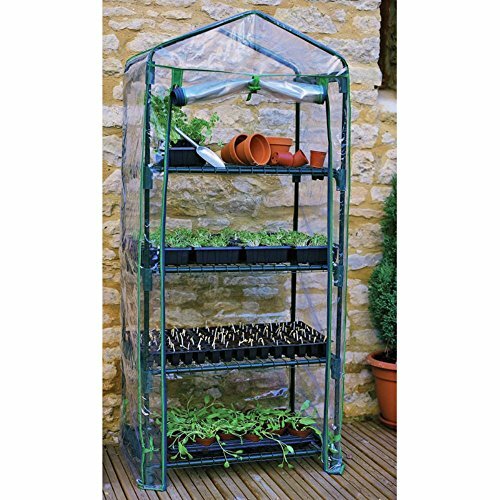 Additional features:Great for seed germination & rooting cuttings Peak height: 62 inches Sidewall height: 55 inches A handy greenhouse for starting seeds, the Gardman 4-Tier Mini Greenhouse is lightweight and easy to assemble. It's constructed with a sturdy tubular steel frame, four shelves, and a removable clear PVC plastic canopy. The full-length zippered door rolls up and ties at the top for easy access to the shelves. Because the four shelves are made with a metal grid pattern, your seedlings and tender root cuttings will be able to drain properly at all times. 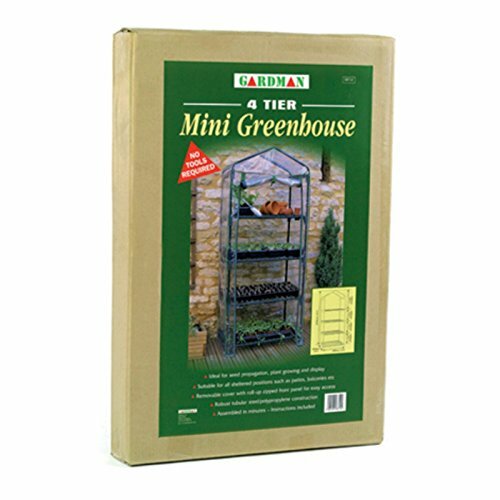 This mini greenhouse can go just about anywhere - patio, balcony, deck, garden, or lawn. It measures 27L x 19W x 62H inches. The four shelves keep seed trays, pots, and tools on hand as you care for your sprouting plants. This inexpensive greenhouse offers protection for your plants and increases the odds of healthy transplanting. It's an essential shelter for gardeners who enjoy tending from start to finish. One of the fastest growing suppliers of decorative lawn, garden, and bird care products in the United States, Gardman USA, Inc. is a subsidiary of Gardman Ltd., the largest supplier of these products in the United Kingdom. Gardman has won the Garden Industry Manufacturers Association (GIMA) Supplier of the Year award for the last four years. Based in Kennesaw, Ga., Gardman's goal is to provide high-quality, well-designed, functional products that offer consumers true value for their money. Dimensions: 27L x 19W x 62H inches. Sturdy tubular steel frame and shelves. Removable canopy made of clear PVC plastic. Full-length, roll-up zippered access. 4 shelves for seed trays, tools, and pots. Lightweight and easy to assemble.